Holiday Hours | Recycle with us this holiday season! It’s the holiday season! Time for fun and making new memories with family & friends! As you prepare to enjoy this holiday season, we thought we would let you know the holiday hours for all of our recycling & bottle depots so that we can celebrate with our families. To see more about the holiday hours for each of our locations, please check out the locations and hours page on our Regional Recycling Website. This is the time of year for festivities and gifts which means lots of items to recycle. Bring in all of your holiday recycling! 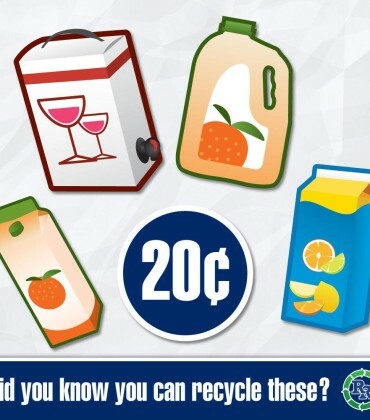 We take most items that can be recycled; recyclable wrap, boxes, styrofoam and of course beverage containers! Especially over the holidays, when your time is at a premium, we are your one stop recycling shop! We hope to see you at one of our depots soon.